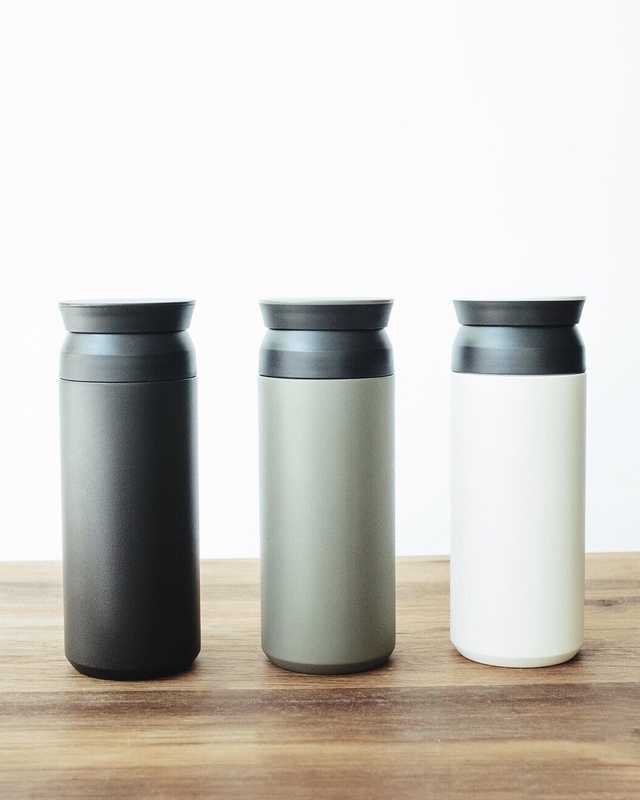 Seriously, can you imagine a dreamier travel tumbler? Japanese design, man. Finding the perfect to go cup is a game changer, but they're tricky to get your hands on. Some don't work well enough, some work a little too well [still burning your tongue 2 hours later? no thanks]. Balance is key- and here it is. This travel mug is guaranteed to keep your coffee hot, and your water ice cold-- no burnt hands or condensation involved. The cherry on top? That gorgeous matte white finish + the no-spill lid is an A+ in our book. Also available in olive and black. Pro tip: Ditch the single use to-go cups at your favourite coffee spot + keep your latte fresh all morning in this baby.